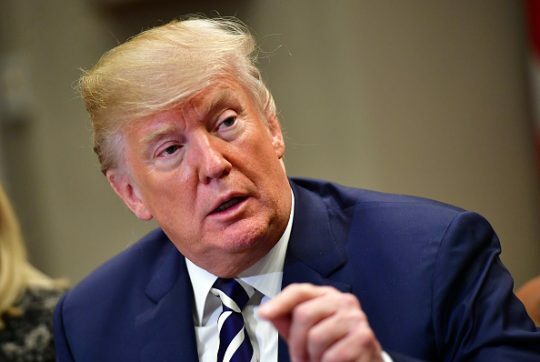 The Trump administration announced on Wednesday that it is offering $10 million for information leading to the location, arrest, or conviction of two top al Qaeda leaders, doubling the bounty from its previous amount of five million dollars. The bounty was first placed on the al Qaeda leaders in December 2000, but the United States has yet to apprehend or locate the individuals. "The U.S. Department of State's Rewards for Justice Program is increasing reward offers for information leading to the location, arrest, or conviction of al-Qaida key leaders Abdullah Ahmed Abdullah and Sayf al-Adl to $10 million," the State Department said in a release. "This represents a doubling of the previous reward offers of $5 million each announced in December 2000." "Both individuals served as members of al-Qaida's leadership council, and al-Adl also served on the group's military committee," according to the State Department. The terrorist leaders were initially charged by a federal grand jury in November 1998 for their role in the bombing of the U.S. embassies in Dar es Salaam, Tanzania and in Nairobi, Kenya. "The attacks killed 224 civilians, including 12 Americans, and wounded more than 5,000 others," according to the State Department. "In 2001, Abdullah and al-Adl were added to the UN Security Council's al-Qaida Sanctions List as well as the U.S. Treasury Department's list of Specially Designated Nationals under Executive Order 13224 for their activities in support of al-Qaida," the State Department noted in the new bounty information. This entry was posted in National Security and tagged Al Qaeda. Bookmark the permalink.